I’m excited to announce a new addition to the North Carolina Newspapers collection: a complete run of newspapers from the Basic Training Camp and Overseas Relocation Depot, located in Greensboro during World War II, is now available on DigitalNC. The newspapers are from the collections of the Greensboro Historical Museum. The base saw more than 330,000 soldiers pass through between 1943 and its closing in 1946. 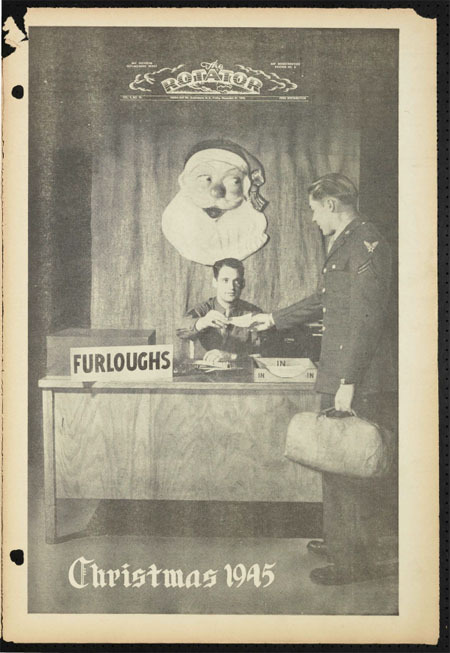 The base newspaper began publication in March 1943 and ran through September 1946, producing a total of 176 issues. The newspaper documented all aspects of life on the base, especially the social and sporting activities of the enlisted men. We’ll post a few highlights and interesting photos from the paper over the next few weeks. 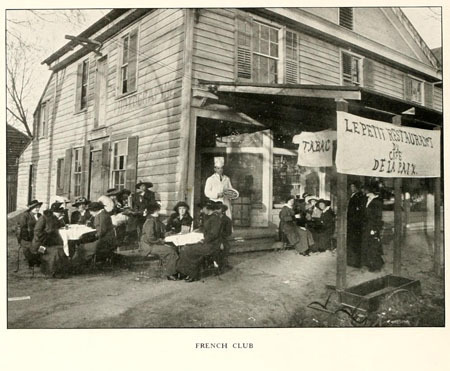 Happy Bastille Day, from the 1915 Chowan College French Club. It doesn’t quite recall Paris, but I’m sure that the makeshift “Le Petit Restaurant du Cafe de la Paix” was a fine place to pass an afternoon. The image above is from the 1915 Chowan College (now Chowan University) yearbook, the Chowanoka. Student yearbooks from Salem College are now available on DigitalNC. Ranging in date from 1905 to 2009, there are 102 volumes accessible online. Located in historic Old Salem, Salem College traces its origins back to 1772 and is recognized as the oldest women’s college in the nation by founding date. Salem College varsity basketball team, 1927. 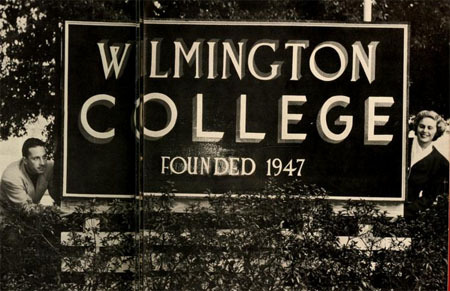 Student yearbooks from the University of North Carolina at Wilmington are now available on DigitalNC.org. Thirty-eight volumes of The Fledgling, ranging in date from 1950 to 1989, can be searched and browsed online. The Tour de France is underway, due to finish in Paris later this month. I’m sure there are some fine cyclists in the race, but I wonder how many of them could keep up with these guys? This photo, of the 1910 Mocksville Bicycle Club, is from the Digital Davie exhibit, which features materials from the Davie County Public Library.